I’m enjoying a new romance. I can’t stop thinking about my love. I’m anxious when we’re apart. Our dates give me a high. The relationship feels shiny and new; so far I see no flaws. You’d probably say I’m in the “honeymoon phase”. And you’d be right. My new love is not a man, though, (or even an adorable puppy). It’s a novel. One that I’ve just started writing. We meet almost every day—at my desk, in the library or coffee shop. Sometimes in bed. Previously, I’ve been through two long-term book relationships, each ending with publication. I’ve had a few breakups along the way. And another relationship that ended after the honeymoon stage. Before meeting my new novel, I was separated from another one in-progress, 3/4 through the first draft, a story I believed in and still do. I hit a rough patch—the inevitable muddy middle and couldn’t find my way out. And then life intruded, taking away my time. Then bad stuff happened, taking away my words. The bad stuff gave power to my inner critic, The more time passed that I hadn’t worked on this book, the greater my despair. We lost our connection. I began to associate the story with pain and loss, so that every time I opened my laptop, my chest tightened. I decided to take a break. I went exploring. Studied my craft. Sought advice. I looked for inspiration. I nourished my soul. My heart opened. Then, when I wasn’t looking, I bumped into an old acquaintance. The idea, notes, and first chapter had been sitting in a file for 6 years. And it still looked good. I felt a spark. “Let’s meet for coffee,” I said. Now I hear the main character’s voice in my head as I’m falling asleep. I imagine future scenes of our story. I reread every word spoken so far. Sometimes while driving, I get so absorbed in thinking about the plot, I forget where I’m going. Still, I worry about our future. Just like some people are in love with the idea of falling in love, some people are in love with the idea of writing a novel. But for most, it remains just an idea. Writing the damn thing is really hard work. It takes a lot of time, self-discipline, and know-how. So you really need to fall in love with the story, at least in the beginning. And that’s just the writing part. Getting published requires a whole other set of know-how and connections. Even though I’ve been writing fiction for a long time, have studied the craft, won awards, and been published, I still find the process difficult, particularly trying to develop an idea for 300 pages…and doing it well. You fall out of love. l. Remember why you fell in love in the first place. When you are stuck, rewind to the beginning. Write your mission statement for the novel. Think about the magical parts. Outline its future. Imagine the scenes yet unwritten. 2. Know that every relationship goes through rough times, some harder than others. Getting writer’s block, feeling stuck, disliking what you’ve written, are parts of the process of building a solid story. Calling it quits is sometimes necessary, but first, you have to ride the wave of uncertainty. Expect it. Make friends with it. 3. Make time to nurture your relationship. Saying that you’ll finish your book when the kids are in school, when you can quit your day job, or when you finish re-doing the basement, rarely works. You’ll eventfully, find another reason why “now” is not the right time—real or imagined. So strike when the iron is hot, even if that turns out to be 30 minutes a day or two hours on a Sunday. Meeting once a month is not enough to make progress. A year from now you’ll regret not having started. 4. Take a break if necessary. After putting in time and effort and you still feel stuck, try starting a new writing project. It’s like having a fling with no consequences. (What fun!) Then return to your book with renewed energy and fresh eyes. See how you feel. The writing life can get lonely. Working on a novel brings frustration and self-doubt no matter how experienced you are. Don’t go at it alone. Find a critique partner. Join a writer’s group. Take a class or workshop. Attend a conference. Read guidebooks from those who walked the path. 5. Don’t give up— at least without a fight. Sometimes the first novel is a warm-up, a learning experience. It becomes part of your past. Even great ideas may fizzle in execution. And not all books should be written. If you do decide to break up, at least you know you gave it your best. Then, you have to figure out what to do differently the second or third time around. Maybe you’re hoping to finally meet the Right One. But how will you know? Writing a novel is as much a process of discovery as it is an act of creation. You will learn things about yourself. You’ll discover truths. You may create something you never thought possible, something more whole, real, and satisfying than earlier attempts. The beginning of any relationship is both exciting and scary. Starting a new job, moving to another city, adopting a dog, making a new friend, all carry uncertainty. In a romantic relationship, this is amplified. Does she like me for me? Can I trust him? Is she the one? Can I commit? Will he still love me when I’m sixty-four? Unlike humans relationships, a romance with a novel puts you in control. 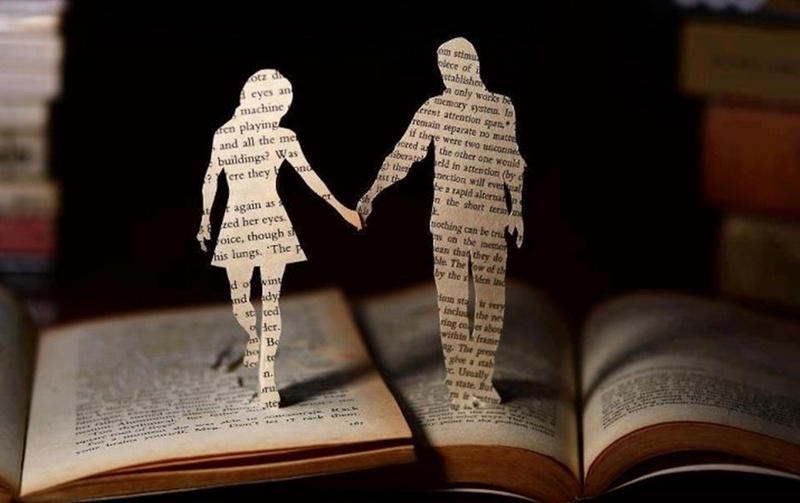 The book will never abandon you.